This was in a preparatory meeting yesterday chaired by the sports minister. Members of the local organizing committee for the 2016 Women AFCON were yesterday drilled on the various budgetary allocations for the different commissions towards the hosting of the tournament. Speaking during the ceremony, the minister of Sports and Physical Education, Bidoung Mkpatt congratulated members on the successful hosting of the draws last September 18 which he said was of an unprecedented magnitude even for the male version of the tournament. He said the success was due to the synergy among the actors and urged them to continue with the same spirit of togetherness. He reminded the public that the budget for organization was scaled down to reasonable sum of FCFA488246000 because of the economic reality of the country and in conformity with the recommendations of CAF. “Time is no longer for complaints but for action,” he said adding that he needs results and not problems. Owing to the media backlash over the anthem of the tournament and budget, the minister called on the press to make use of the remaining days to the kick off of the competition to give good information about the tournament. Alioum Aladji representing Fecafoot outlined the recommendations of CAF concerning 14 key issues namely; visas acquisition, transportation, lodging facilities, stadiums, healthcare, ticketing, TV production, training of volunteers, logistics, marketing and communication. However, the high point of the meeting were specifications on the budgetary allocations to each commission and the procedure of disbursing funds outlined by the newly appointed financial manager and controller of the tournament. The budget for each commission comprised three aspects; CAF recommendations, promotional actions and the functioning budget of the commissions. 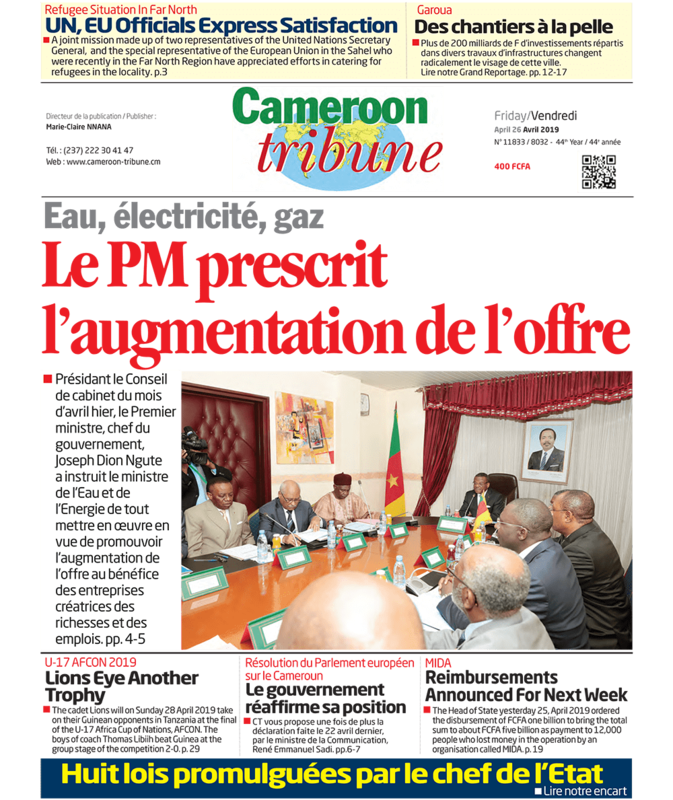 A similar meeting will take place today in Yaounde and Limbe respectively for the members of the sub-local committees in the two game sites. The meeting in Limbe will be chaired by the assistant director of tournament, Manda Chantal and the one in Yaounde by the director of the tournament, Pierre Noungui.